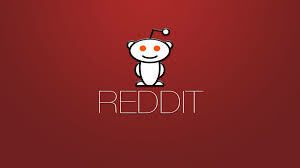 Reddit is one of the largest news sites online. It is entirely community driven, from moderation to contribution. It is also one of the best sources of traffic. Each section of reddit, also known as a subreddit, is organized by theme. There are subreddits for everything you can think of. These subreddits are excellent ways to get targeted traffic to your website or blog. The first step is to locate as many subreddits connected to your nice as possible. These will be your targets for the purpose of this campaign. Note down how many subscribers and the rules that govern each. You will have to follow those rules or you will get banned. In each subreddit organize the view by all time top posts. This will give you an idea of what sort of posts rank for each. This is the content you will need to share. Before you can start sharing links to your own material. Become an active part of the community in each subreddit. Post links regularly and comment and be helpful whenever possible. Reddit has scoring system known as karma. Once you have achieved 100 karma you can start to post your own links. Even when you can post your own links without arousing suspicion, always contribute other material. A good rule of thumb is to post three other links to each of your own. Maintain that ratio and any admins will forgive your link spam. Follow these tips and you might get thousands of additional visitors.